Have you recently been involved in a motorcycle accident in the Inland Empire ? Whether you’ve been involved in a motorcycle collision in Rancho Cucamonga or San Bernardino, there are specific steps you can follow to improve your chances of a favorable outcome. A lengthy process must be followed once a motorcycle accident occurs/ It is important to follow as many of these steps as possible. The documentation process involves a couple of different steps. First, if you are physically able to and it is safe to do so, you should photograph the scene of the accident in as much detail as you can. You should also solicit contact information from any potential witnesses, and seek testimonials from those witnesses. Make sure that you contact the local law enforcement, and that you obtain an accident report from the police officer that arrives. You are also going to need the contact information from the other parties involved in the accident, as well as their insurance information. Contact your insurance provider immediately and notify them of the collision so that they can begin the claims process. Do not give recorded statements to insurance companies until after you have consulted with an attorney. If the accident report seems to indicate that you are at fault for the incident, then you are going to want to reach out to a motorcycle accident attorney. If there are injuries or property damage, then you may want to seek counsel, even if you were not at fault. Even if you are not sure of whether you have sustained an injury, it is important for you to seek medical attention following a motorcycle collision, as symptoms don’t always immediately present themselves. If there are injuries, only a professional will be able to properly document and treat them. If you do not go to your regular care provider or a hospital following an accident, and it turns out later that you have sustained an injury, you may not be able to attribute those injuries to the accident later on. Make sure you seek medical care following your motorcycle collision so that the injuries can be properly attributed to your accident. This way, your insurance company cannot claim any gap in treatment and hinder your ability to recover the fair and reasonable damages that you seek. If your motorcycle has been towed from the site of the collision because it’s not presently operational, make sure that you arrange to have it retrieved. If it is presently at a tow yard, you may be liable for the tow and storage fees until the time you pick it up. Retrieve your property as soon as possible to limit these fees. You will need to file a claim with your insurance company following the collision. 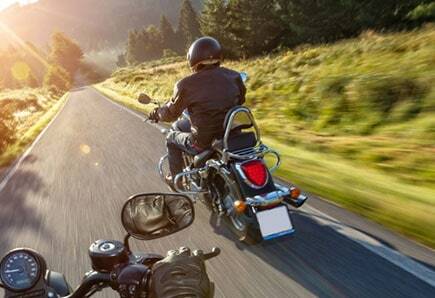 If you have been involved in a motorcycle collision involving more than $500 in damage, California law will also require that you file an SR-1 report with the Department of Motor Vehicles. If you are concerned about any of the paperwork you need to file, make sure that you hire a motorcycle accident attorney to advocate for you during this process. If you have questions or concerns at any point while dealing with the aftermath of your collision, call Inland Empire Motorcycle Law at (951) 290-3664 for more information about how an attorney can help you with the process.